Japan Centre has teamed up with the Sadler’s Wells theatre to offer this great promotion for an upcoming play called “The Centaur and the Animal“. Starring Bartabas, the world-renowned horse trainer and art director in his first ever London performance, the story of a man and his horse. 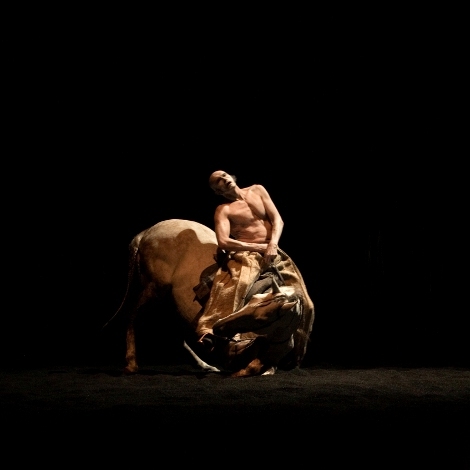 The Centaur and the Animal is choreographed and performed by Bartabas and Ko Murobushi, one of Japan’s greatest butoh masters. Butoh is an expressionistic dance form that originated in Japan after the Second World War; Ko Murobushi trained and performed with its creator Tatsumi Hijikata and introduced Europe to the art form in 1978 with his own group, Ariadone. How do I enter the competiton? To enter the competition, simply leave a comment on this blog post with the words “Competition” and we will choose a winner at random next Friday 25th February. One winner will receive a pair of tickets for the London premier performance on Tuesday 1st March. Be sure to leave your comment by Midday on Friday 25th Feb to be entered in to this Japan Centre competition. Please note that this competition is now closed and the winner will be contacted by email. Thank you to everyone who participated and look out for our next competition! That’s a great performance there! hope I win as March is my Birthday month! Competition: Looking forward to it! 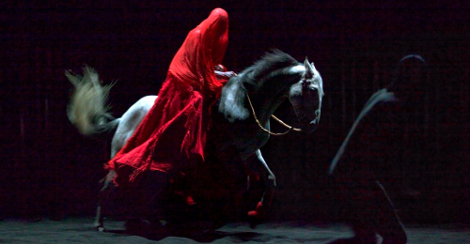 Competition: Looking forward to seeing live horses on stage and the work of Ko Murobushi! competition: love to see it! Competition: This performance looks amazing. Would love to see this! I went to see the kabuki performance last year and it was absolutely stunning. Fingers crossed for this competition! This “Competition” sounds awesome…..would love to see it!! Competition – yay another Japanese creation coming to London, I’m interested!